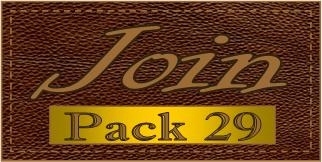 Hello and thank you for visiting the website of Cub Scout Pack 29. The objective of this site is to provide a easy way to broadcast knowledge to our existing Pack members and their parents but also to provide information to the public on our existence. The purpose of Scouting is to provide an effective program for boys designed to build desirable qualities of character, citizenship, fellowship and personal fitness through a local community organization. Cub Scout Pack 29 is one of the largest and oldest Scout Packs in the Inland Empire dating back to 1974 and contains 5 Dens/Patrols with approximately 25 boys and their families from the neighboring Mira Loma, Pedley, Jurupa Hills, and Indian Hills areas located in Riverside,California. We are a feeder cub pack for Troop 270, and are chartered (sponsored) by the VFW post #10267 and we also have our monthly pack meetings on the 4th Tuesday of each month at their building located at 8607 Mission Blvd, Jurupa Valley CA 92509. Any boy in first through fifth grade (that's around ages 6 through 10) in our local area is eligible for Cub Scout Pack 29 membership (sixth graders will join Boy Scouts). Our pack includes boys from all walks of life, you can join no matter the school you attend or your religious background. Here in California we are able to hold Scouting activities year round and the Dens (six to eight boys in the same grade) and the Pack (all the dens) meet approximately 4 times a month for meetings, fun activities, and trips. Please visit the other pages on our website to learn more about our pack and Cub Scouting. If you have any questions, please contact us. Thank you for your interest in Cub Scouting and Pack 29. Our August 2013 Pack meeting will also be an event where we are inviting all friends to join Cub Scouting including our local schools where we have passed out flyers to come. Hawaiian will be the theme today, where you're favorite or craziest Hawaiian shirt for this meeting and tell your friends to do the same.